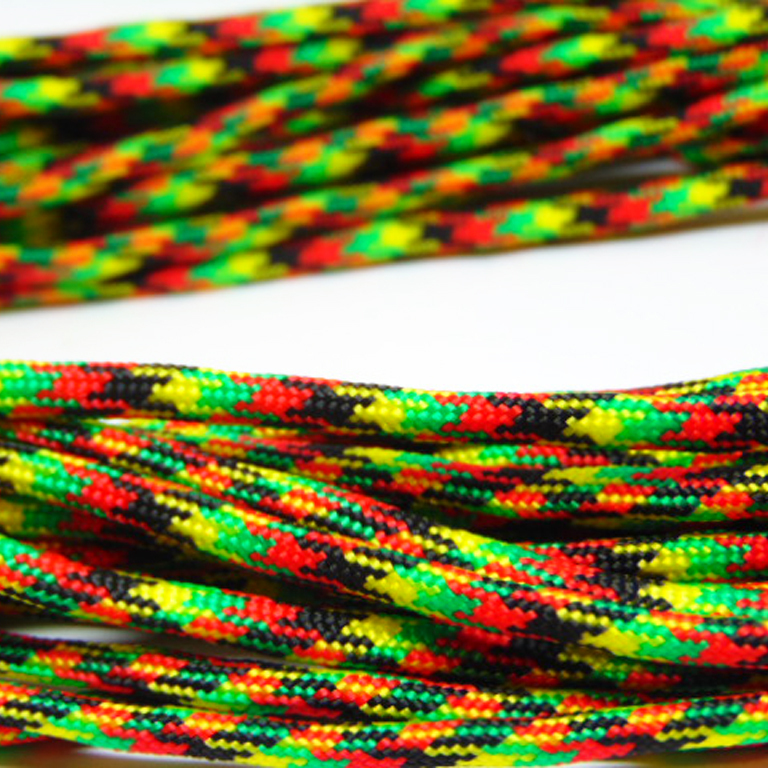 Mountaineering cord 4mm width in red, green, yellow colors. Ideal for necklace, bracelet, strap, shoe laces etc. The unit price corresponds to one meter.